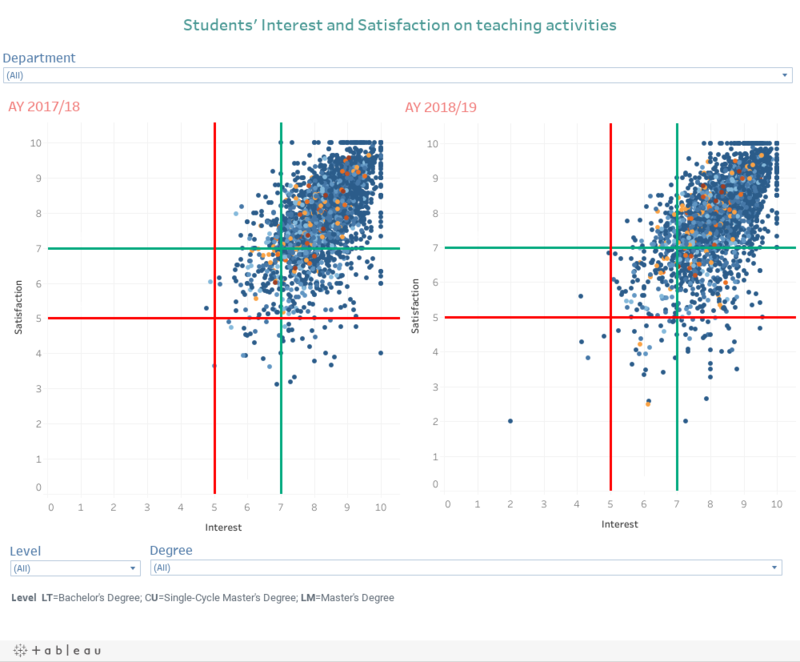 In the chart below, any dot indicates the level of Interest ("I'm interested in the topics covered in this course") and Satisfaction ("On the whole I'm satisfied with the way the course has been carried out") of each teaching activity in AY 16/17 and 17/18. Each teaching activity is anonymous but you can use Identificativo anonimo insegnamento to find the same course in the AY proposed. For a better visualization, we suggest you to use “Full Screen” mode: select the bottom below on the right and use filters to change level of detail. Scrolling the mouse on the chart, you'll see a tooltip with all the information.